Life at Hogwarts would not have been the same for Harry Potter without his loyal and brave best friend, Ron Weasley, by his side. And no Harry Potter collection can be complete without this itty bittys stylized plush version of the headstrong young Weasley son dressed in his Gryffindor robe and tie with signature red hair. 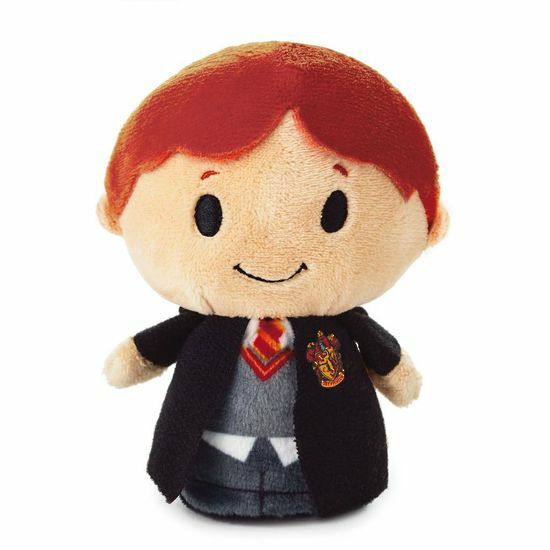 Ron Weasley itty bittys stuffed animal is crafted from soft plush fabric.